Ariel Trout Large Leather Bag by Brady. The large Leather Ariel Trout bag by Brady is made from the highest quality grained leather and waterproofed. It has heavy leather buckle straps and details. It features front pleated pockets with flaps and a outside back pocket, the inside is also lined. It has a wide webbing shoulder strap. 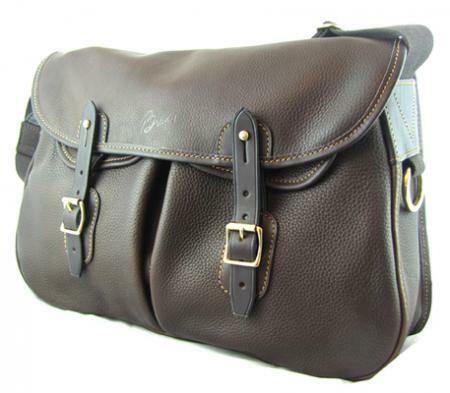 This is a leather bag of the very best quality. It is available in three colours; tan, black and chestnut. Make your choice of colour from the pull down menu below.